We are highly experienced firm widely known for the quality of our offered Paper Files. By using modern machinery, these products are designed in accordance to the latest market trends. 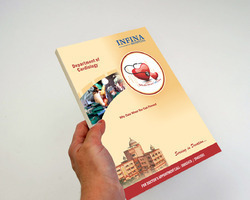 At OXPP, We manufacture/print all types of File folders as per custom size/design/finish. We print all types of paper/plastic substrates. Volume is not a constran. Paper Mache Diary:Manufactured by Handicapped Persons. We have gained recognition as an eminent enterprise, devotedly engaged in manufacturing and supplying a broad range of Paper Folder. We made all kind of paper folders as Horn Paper Folders Bone Paper Folders and Wooden Paper Folders and other handicrafts items in above material. Handmade Paper Folders with inside pocket and pen holder. 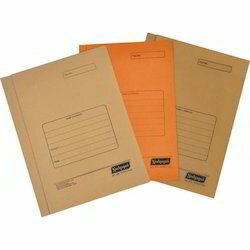 Our presented range of School File Folder is broadly employed in the market for their durable nature. Due to their top features, these are enormously demanded in the market. Riding on unfathomable volumes of industrial expertise, we are providing a broad array of Paper Files.